The chart says it all. 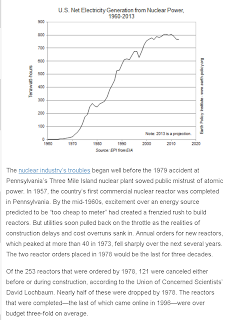 But keep in mind the chart is even more compelling granted that nukers have been ramrodding through "uprates", which is like taking an clunker car and throwing a nitrous system on it in order to get more speed until it just fully blows up. many plants are 30 years old and running 10% to 18% above their original design....to increase profits. And risk. But the Nukers externalize the risk. They put the risk on us. So they can make more money. 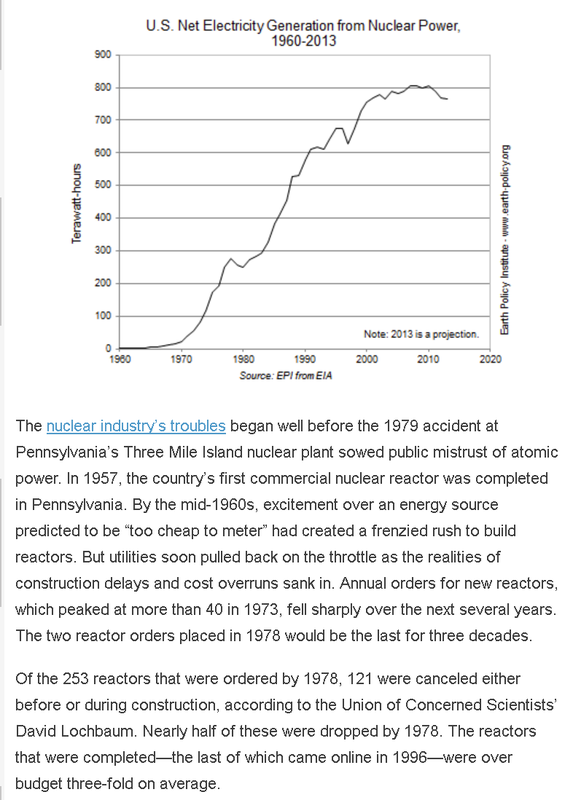 They still have nuclear promoters on the blogosphere trying to pimp the idea that Fukushima is insignificant, that it will be measurable but not harmful. The shame.